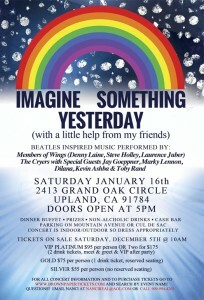 An Evening of Beatles-Inspired Music! 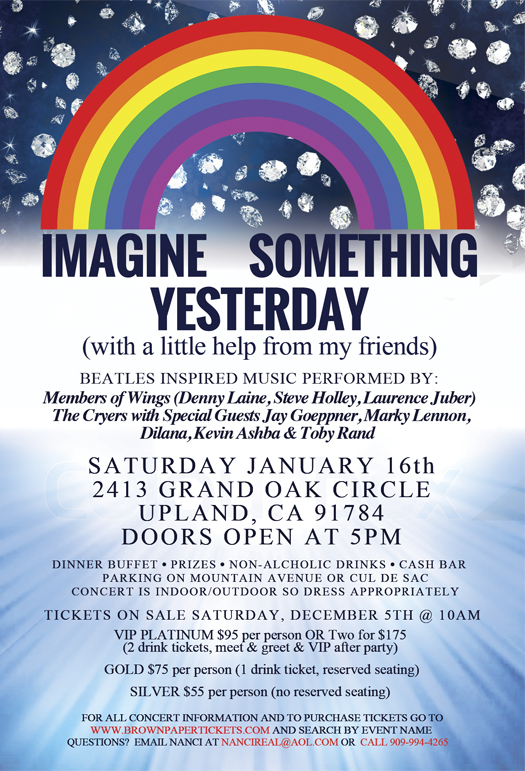 Come on out and join Marky Lennon, The Cryers, members of Wings, Dilana, Toby Rand, and more on Saturday, January 16th at Grand Oak Circle Live!! Just a few VIP seats left!! Gold (reserved seating) and Silver (general admission) are also available. All tickets include a dinner buffet, non-alcoholic drinks, a cash bar and a few prizes and surprises thrown in! Plus – our very own Marky Lennon singing a few of his favorite Beatles tunes – and joining other band members on stage throughout the night. Don’t miss out! Click here to grab your tickets now! !